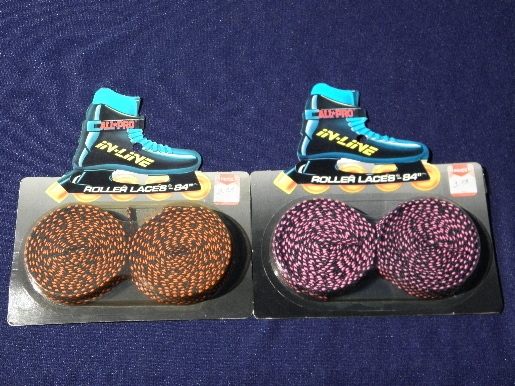 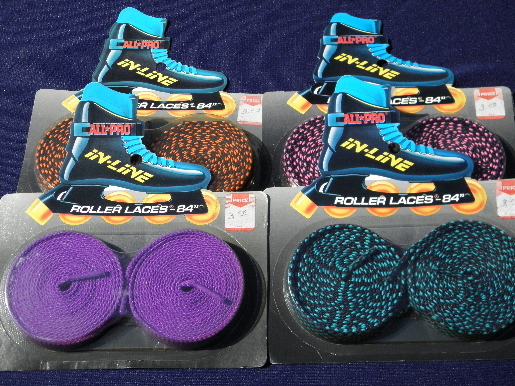 Four packages of late 80s / early 90s laces for roller blades inline skates, 84" long. 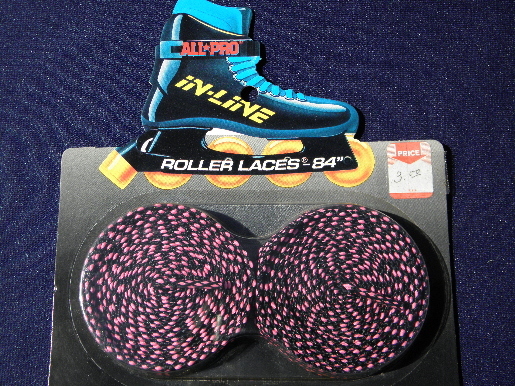 These are great retro neon colors! 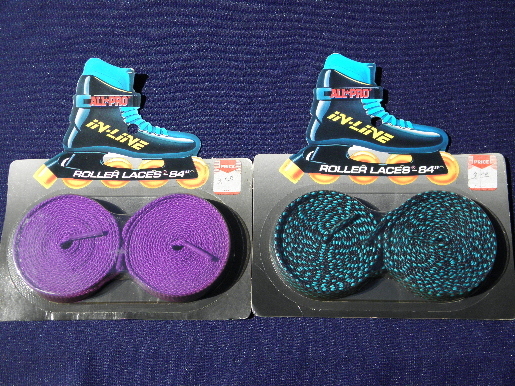 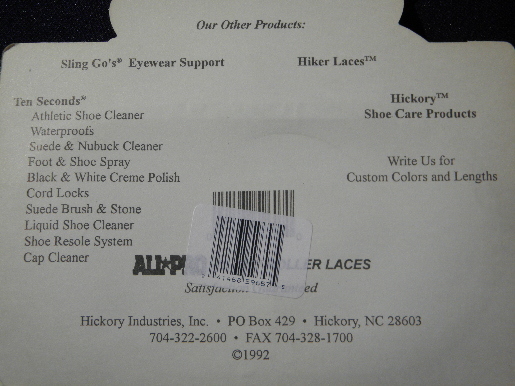 All four packages have a little wear and old price tags, but the laces all seem to be in excellent condition.